Based on a winning design for high-definition home theater reproduction, the TX-SR876 is a comprehensive A/V processing hub with a deep reservoir of amplification power to draw on. Reveling in its new THX Ultra2 Plus certification, the TX-SR876 shows its class with a broad range of capabilities, phenomenal performance, and noticeable finesse. 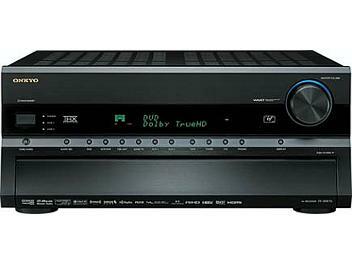 With its advanced HQV Reon-VX video processing-which enables upscaling to high-def 1080p-and supreme high-definition surround sound decoding, this receiver belongs in elite company. It's also one of the first receivers anywhere to employ ISF (Imaging Science Foundation) video calibration. From whatever movie, music, broadcast, or gaming source you choose, the TX-SR876 will impress time and time again.